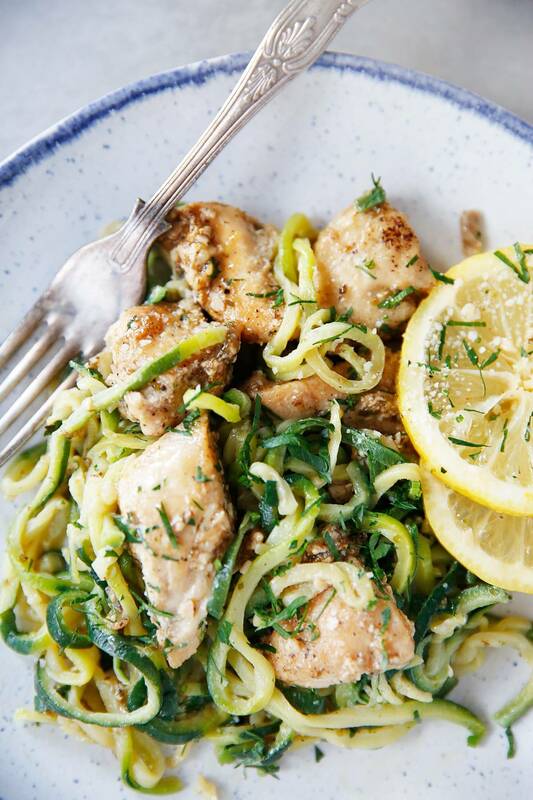 This Lemon Parmesan Chicken with Zucchini Noodles is a perfect easy weeknight meal that comes together quickly and is packed with flavor! 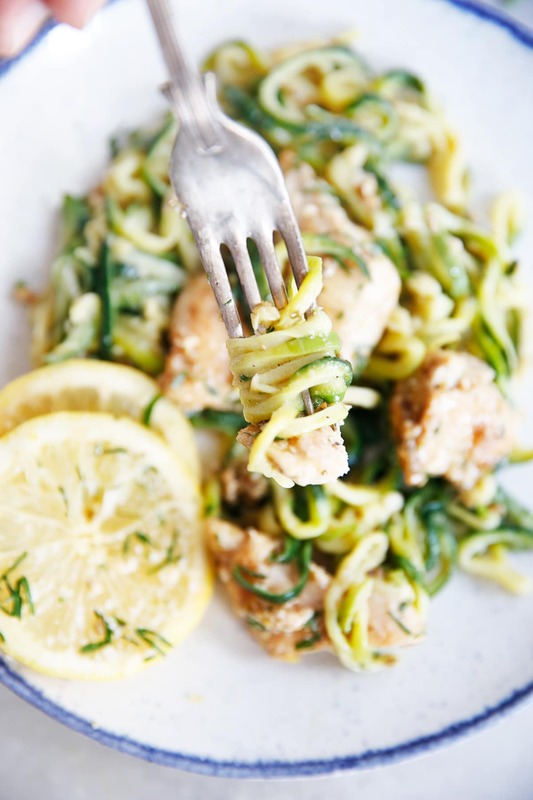 It’s a fabulous chicken zucchini pasta recipe that is light, low carb, and so yummy. Made in partnership with Green Giant and their new Veggie Spirals! I am so excited to partner with Green Giant today and to work with their new Veggie Spirals for this dish! If you’re busy like the rest of us, these veggie spirals are a perfect swap-in for traditional pasta and are super convenient! You don’t need to grab your spiralizer and your veggies, it’s all ready to go for you! 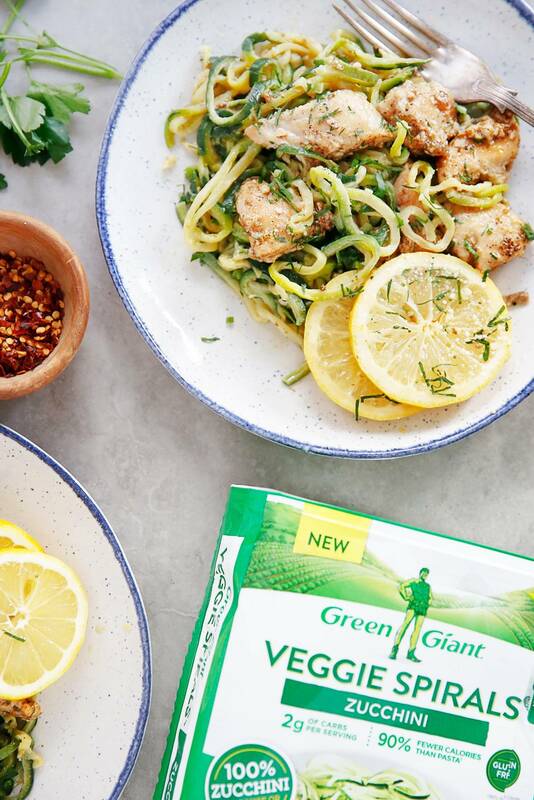 Green Giant Veggie Spirals™ are made with only the vegetable, are naturally gluten-free, and come without sauce or seasoning, so you can prepare them just the way you like! They come in beet, butternut squash, carrot, and zucchini and are great for throwing together a quick and healthy meal. I know my non-cooking hubby will be pulling these out of the freezer when he has to cook for himself!! A perfect healthy weeknight meal! Cook zucchini noodles according to package instructions. Drain well. Heat oil in large skillet over medium heat. Season chicken with salt and pepper and brown chicken pieces, about 3-4 minutes per side depending on the thickness. Cook in batches if necessary. Remove chicken from pan. To the skillet, add garlic, and cook until fragrant about 30 seconds. Add butter, oregano and lemon zest. Pour chicken broth to deglaze making sure to scrap up all the browned bits on the bottom of the pan. Turn heat to medium-high to bring sauce and chicken up to a boil. Immediately lower the heat and stir in the parmesan cheese. Place chicken back in pan and let gently simmer for 3-4 minutes, or until sauce has slightly reduced and thickened up. Taste and adjust seasoning. 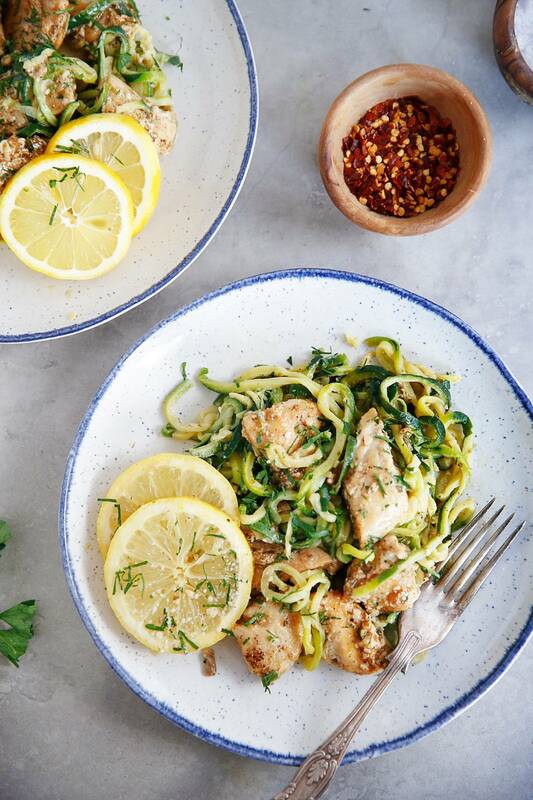 Serve warm over zucchini noodles garnish with parsley and lemon slices. 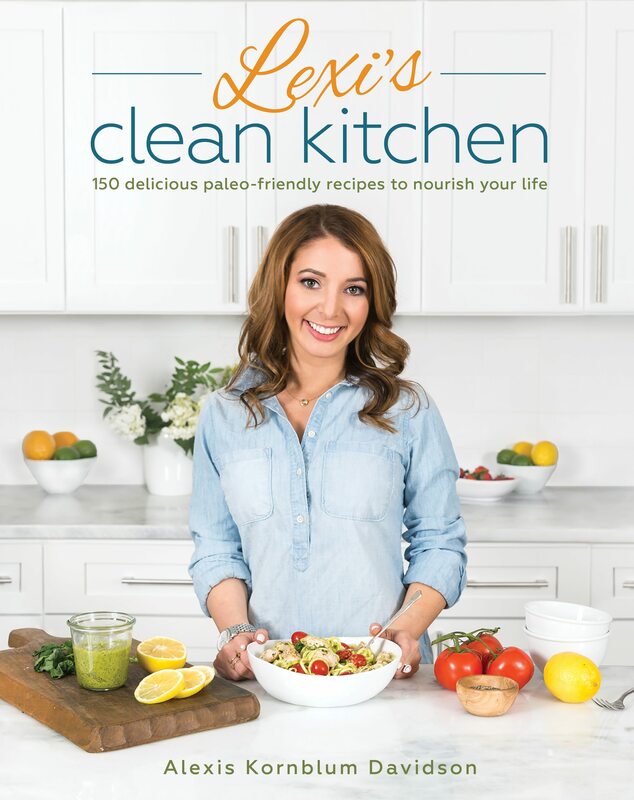 For Whole30, replace butter with ghee and omit Parmesan cheese. This post is sponsored by Green Giant. All thoughts and opinions are always 100% my own! Thank you for continuing to support LCK and the brands I work with! These spirals look awesome, and cut out so much prep time! 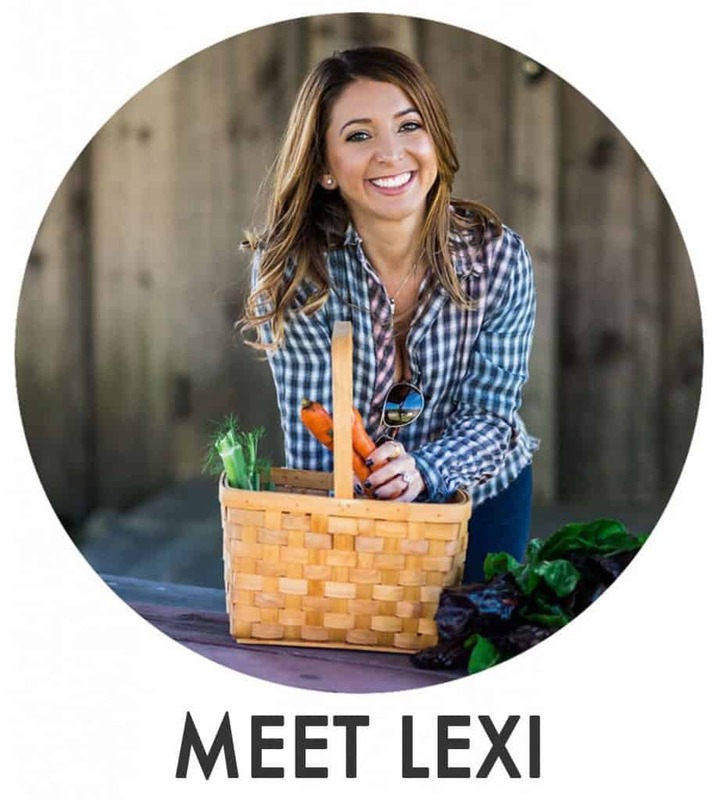 Oh since I’m the last person on the planet without a spiralizer (yes, I know! ), I’m going to look for these! Perfect for quick, healthy dinners! I love all of these flavors- it looks so delicious! I am totally in love with zucchini noodles at the moment. And my kids eat them which is fantastic. I didn’t know these Green Giant products were available, that will save heaps of time mid-week. This chicken recipe looks delicious. I’m definitely going to make this in the next couple days. It looks really tasty. 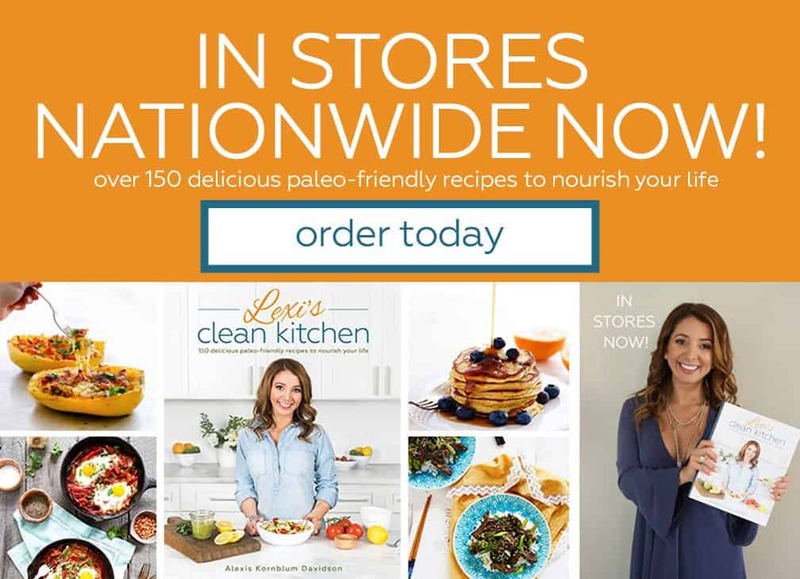 And even with a spiralizer this recipe is great!! Crud, I immediately tried to add this to my Shipt order, and they don’t have it at my store. I have a Spiralizer but I’m too lazy to use it! This was HEAVENLY! The flavors are so delicious and light for the spring and summertime. Love the ease of the already spiralized zoodles. Triple yum! This was really tasty! My 2-year-old loved it and thought it was really fun to eat zucchini noodles. How many zucchini would this equate to? I love my Inspiralized and it’s more economical to spiralize 🙂 what a great recipe! I just tried this one! That was awesome! Do you by chance know how to adapt this recipe for the Instant Pot? Made this meal last night for lunch today for the family, so far 3/4 of us really like it!! (The fourth is still at school 😉). Super easy to make and very flavorful!! Absolutely delicious! I used my spiralizer to make to own noodles, but it was still a super easy recipe that I will add to our rotation! Thanks Lexi! Made this tonight- delicious flavors! Judging by the package this should have been 8 servings of zucchini noodles, but they cooked down so much we got less than 4. Super soggy too. Boo! Glad I tried the frozen, but I will go with fresh when we make this recipe again. Luckily I can get them pre-spiralized at my grocery store! Made this last night, sans the zucchini noodles (didn’t have enough zucchini on hand to spiralize my own). We ate it over cauliflower rice instead. So flavorful and tender! My kids suggested a side of green beans or asparagus (love both of those veggies with lemon 🙂 ) which would have been delicious. Great light, fast and refreshing meal. My family absolutely loved this dish! It was so flavorful…and healthy! The Green Giant Veggie Spirals (Zucchini – needs to be added to ingredient details) cost $4.99 a package,so I bought 2 medium-sized zucchini and made my own. Then I steamed them in the MW for about 3 minutes. Delicious! Does the parmesan cheese need to be shredded, grated, shaved, or some other way? Please help. I’m shopping for everything right now but the ingredients list didn’t specify what kind of parmesan cheese! Please and thank you!